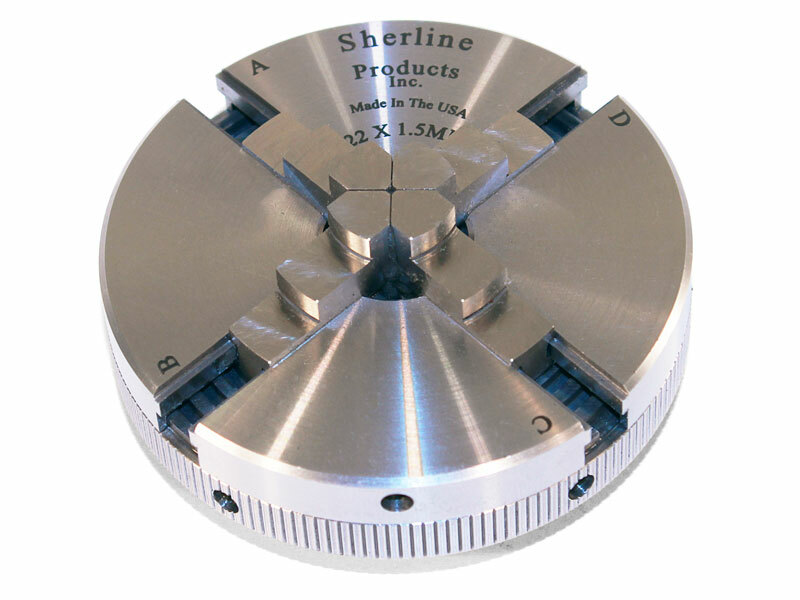 Sherline offers their 3.1″ 4-jaw self-centering chucks with a 22 x 1.5 mm threaded hole for use on Sherline’s optional ER-16 spindle nose. They can also be used with certain other ER-16 spindles that use the 22 x 1.5mm thread for the collet nut. 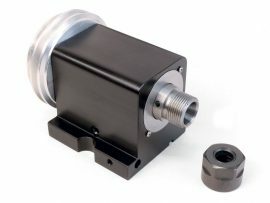 Self-centering chucks offer a quick and convenient way to hold a work piece while it is turned on the lathe. A chuck can also be clamped to a mill table to hold a part for milling. Sherline manufactures our own chucks to a high degree of precision on CNC machines. The jaws are ground and fitted to each chuck by skilled technicians to assure maximum accuracy. 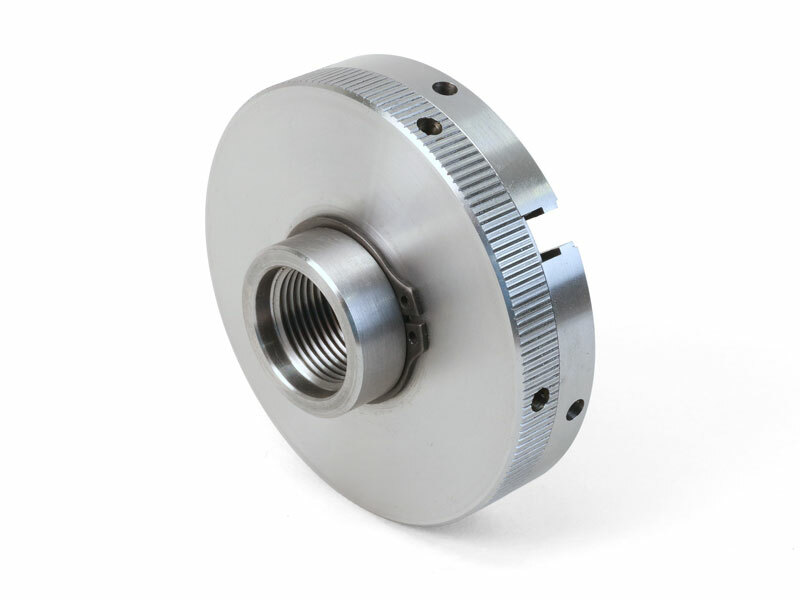 Runout is specified to be .003″ or less at the chuck jaws. NOTE: The chuck should not be used in applications where spindle speed exceeds 3000 RPM. If purchasing any of these chucks for use on a non-Sherline ER-16 spindle, confirm that the spindle nose thread is 22 x 1.5 mm before purchasing. The Sherline chuck has a collar that is machined flat at the back to seat against the face of the Sherline ER-16 spindle. This may not be compatible with some non-Sherline ER-16 collet adapters or industrial tool holders. 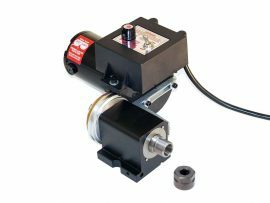 Runout accuracy cannot be guaranteed unless used with a Sherline spindle. For those who have jobs where speed and ease of use are more important than maximum accuracy and want a chuck that is loose right from the start (No extra charge). 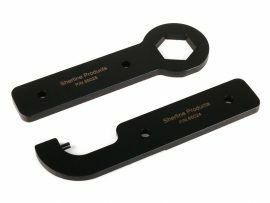 Soft (not hardened or machined) steel jaws are also available when you build your own chuck. *Because chuck master jaws are factory ground to precisely match each chuck body you must send your chuck back to us to be fitted with new master jaws. Please contact us for instructions on how to return your chuck.